There’s always a sense of excitement when we drive into a town and find a vibrant and diverse community filled with people and beautiful, occupied storefronts. 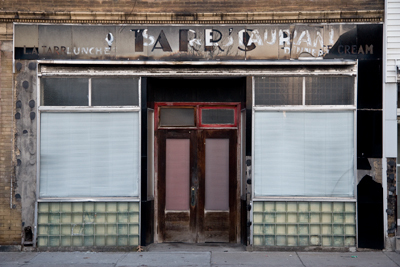 Too frequently, though, we find the opposite: no people and empty, decrepit storefronts. We then comment, “Geez, this town has seen better days.” And we drive right through, unlikely to return. It’s too bad because with vibrant towns, we stop, get out, open our wallets and keep going back. The root causes of town distress can fill many, many books, but I’ll generalize: empty storefronts signal something is wrong. In some cases, the causes are macro and out of the control of the town or business owners. Examples include cyclical economic downturns, commerce redirection because of new highways and shopping centers, or broad changes to the industrial or manufacturing base. In the sixties, we tried to counter these macro issues with urban renewal, which yielded questionable results. In other cases, empty storefronts are a result of micro conditions because business owners fail to adapt. Why? These are self-inflicted wounds that happen more frequently than they should. It’s a shame. The core issue is that we shouldn’t be seeing so many empty storefronts, at least not the ones that can be controlled. It’s bad for the towns, the business owners, and the customers. People want to get out of their cars when they drive into a town; they want to stroll the streets; and they want to spend their money. Over the coming months, I’ll examine each of these issues, with the goal of providing some guidance on what small businesses can do in our evolving world. Perhaps the towns or chambers of commerce can take a cue as well.